The parish has various social and fundraising events throughout the year. Fundraisers during the past 12 months have included Sunday afternoon concerts , a Parish Picnic, a themed dinner… and our famous “Incredible Edibles” pre-Christmas food fair. 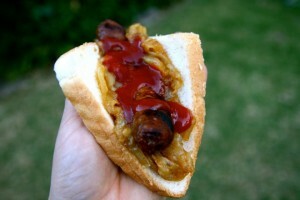 You might even find us at a Bunnings sausage sizzle! The committee runs fundraising activities for the benefit of the parish and our community. Meetings are organised as required depending on the schedule of events. Our Fundraising Committee always welcomes new members and ideas! Please contact Fr John Webster on 9723 5099 or email St John’s.